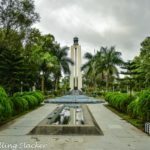 Last year, as I travelled through Nagaland and Manipur, I inevitably ended up at various WW II cemeteries that are already famous. But gradually I also found places that are not very well known outside the respective states. 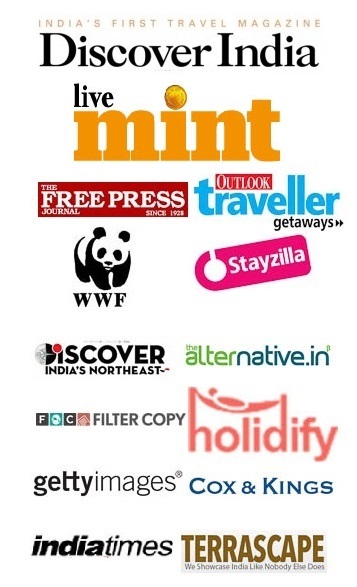 I also became aware of many more sites that I’m yet to visit. Surprisingly, most people don’t even seem to be aware of the WW II action that took place in these frontiers. So, this is an attempt to list out the WW II sites in Northeast India. This list is not probably complete. I will keep adding to it in case I find them. I am listing them state-wise. Not surprisingly, Nagaland and Manipur have most of them as the heaviest fighting took place in those areas and the Battles of Kohima and Imphal are now considered one of the greatest battles by the British. However, it is a conflicting feeling for Indians as Subhash Bose’s INA fought from the other side. In any case, Indian soldiers sacrificed their lives on both sides of the fence for the war. I am also aware of cemeteries in Assam and Arunachal, as listed below. I am not aware of anything in Meghalaya or Tripura. 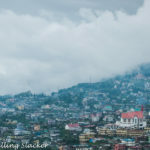 There may be something in Mizoram considering it was a part of the core battle zone. But I am not yet aware of any permanent memorial or structure. Most of the cemeteries are now maintained by the Commonwealth War Graves Commission (CWGC) and are well-maintained except for the one in Arunachal. 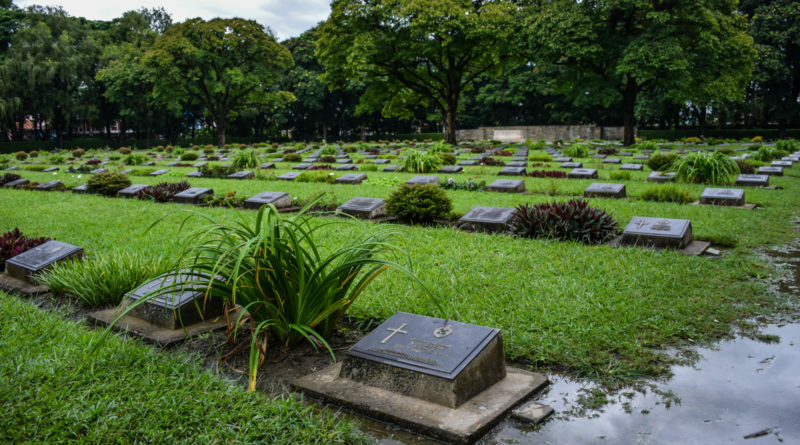 The World War II Cemetery if the most prominent monuments in Kohima, located at the hilltop in the heart of the city. The cemetery has around 1500 graves maintained by the CWGC. The luckier ones here have names and regiments mentioned, and their families probably visit them still. Some others are nameless, and they lie in obscurity! There is also a cremation memorial for Hindu and Sikh soldiers. A couple of Lee Grant Tanks that took part in the action can be seen nearby on a trail leading towards the Raj Bhavan (Governor’s Residence) and you will see them if you walk around a bit. 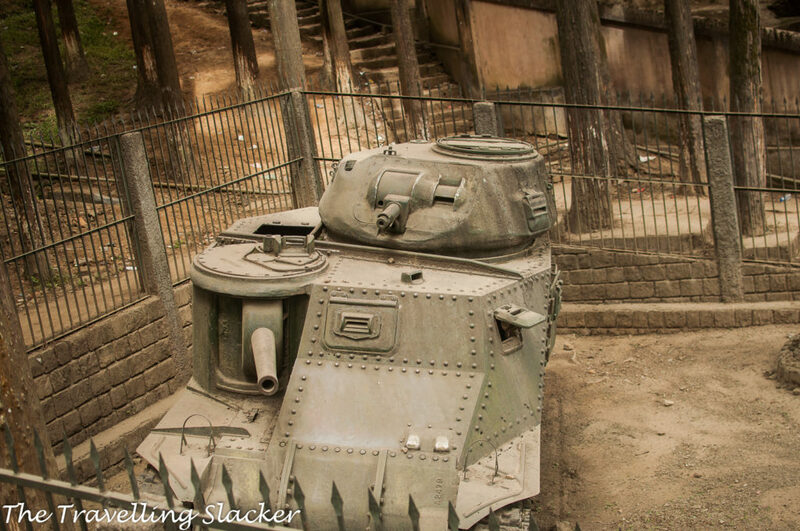 These Lee Grant Tanks are located not far from the WW II cemetery in Kohima. This is a comparatively new addition to the list. This had to be built because various remains of the battle such as parts of destroyed tanks, grenades, bullets, guns, letters, and other objects as well as documents keep getting dug out from this area. 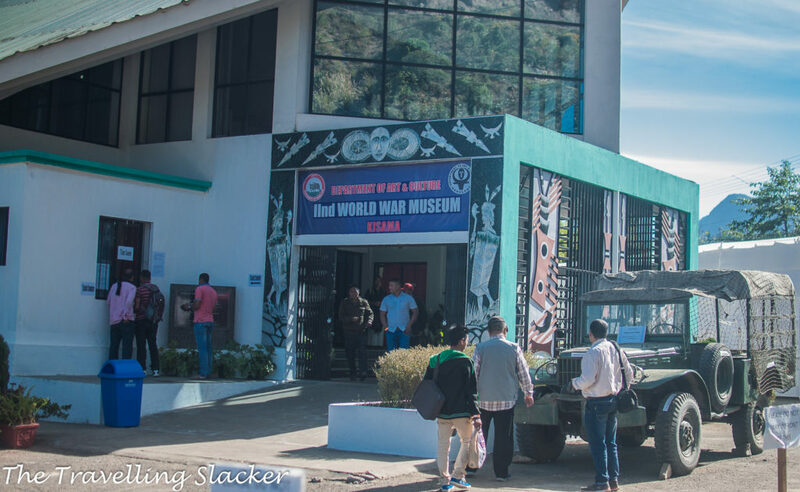 This museum located within Kisama Heritage Village (otherwise known for the Hornbill Festival), makes an effort to preserve some of those findings. You can take photographs inside, if you pay an extra INR 50 as camera fee. 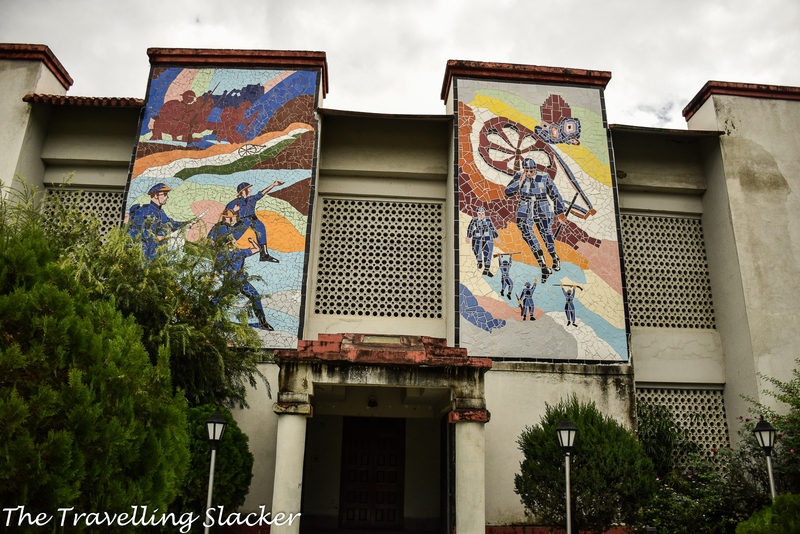 There are some caves around the sleepy town of Pfutsero, around 60 KMs from Kohima, where the Japanese soldiers camped. I even visited this town without knowing about the same and someone told me about them only at the time of coming back. Not sure what remains out there but it is a good town to visit. Check my Pfutsero blogpost for more details. 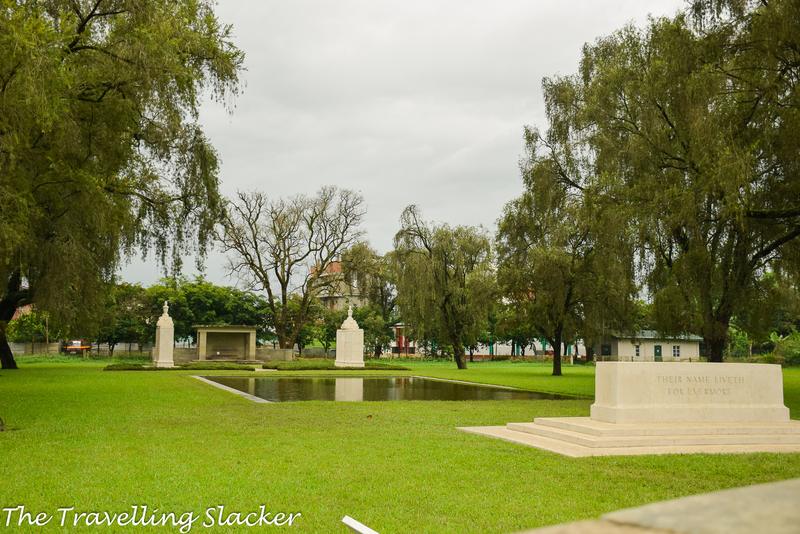 The Imphal Army Cemetery is another major cemetery that has the same design as the Kohima one. 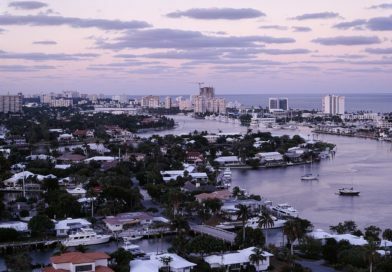 But it is located in a densely populated area and you can only locate it using google maps. 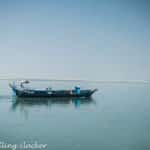 It is located in the central area of the city, not very far from Kangla Fort and Khuman Lampak Stadium. 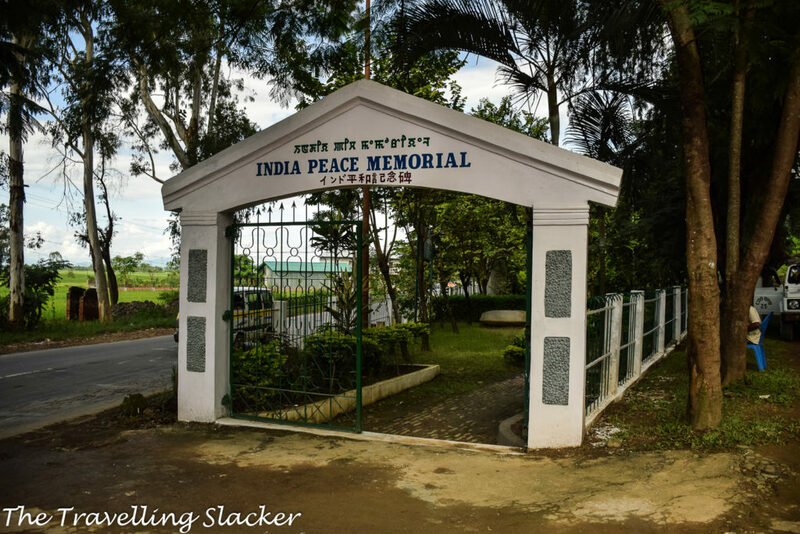 Yes, there are two cemeteries in Imphal, NOT one. So, don’t get confused. The first one is for the western soldiers while this one is for Indian soldiers. There are graves of Indian Muslim soldiers here, along with a cremation memorial for Hindu and Sikh soldiers. 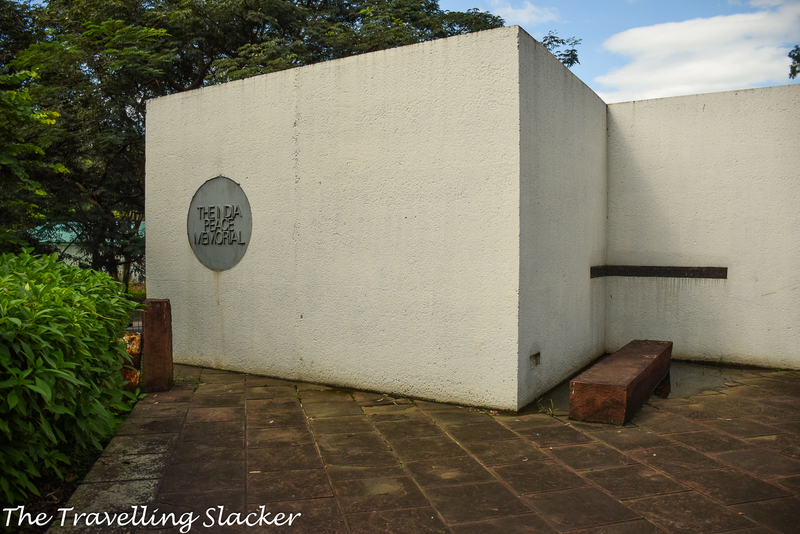 It is also located nearby, around 2 KMs from the other cemetery. This is the most unique memorial of them all. It is a memorial erected not by the winners and it was good to see something from another perspective. The Maibam Lokpa Ching or Red Hill area saw heavy fighting and the Japanese apparently camped nearby. 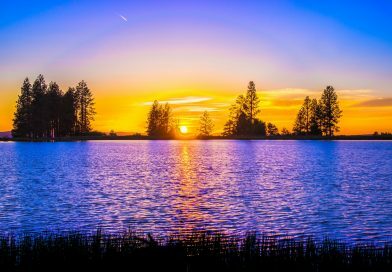 This area is somewhere in the middle, between Imphal, the capital city and Moirang, a small town which is better known for the Loktak Lake. Apparently they still keep finding remains of the Japanese soldiers here and there is a plant to build a museum by the Japanese government. As of now, there is a memorial along with a Japanese shrine and a couple of machine guns from that war. 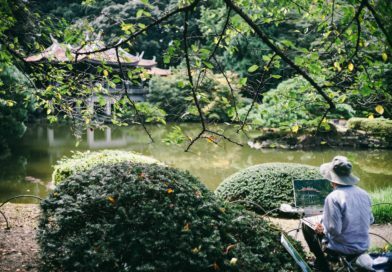 While the rest of the world does not know much about it, the Japanese do care because I saw a lot of Japanese script on the registry of the visitors. 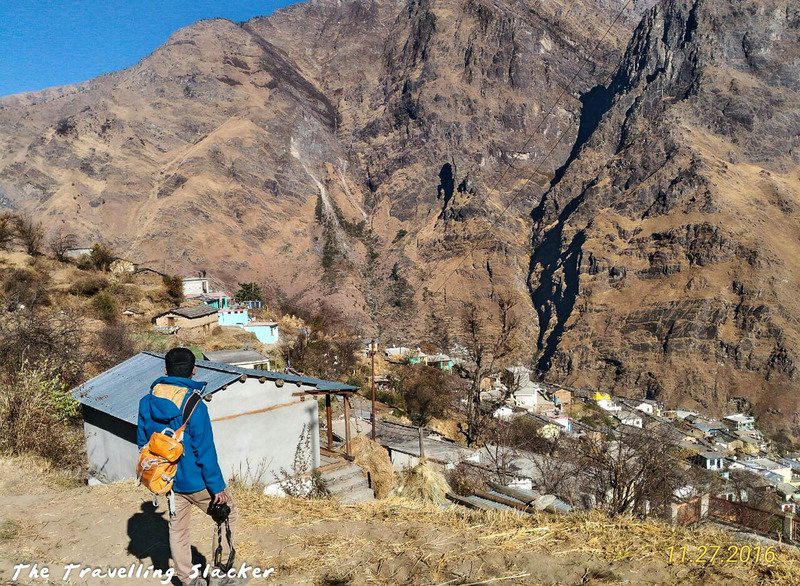 It is around 18 Kms from Imphal and you can reach here by taking any local transport between the aforementioned towns. 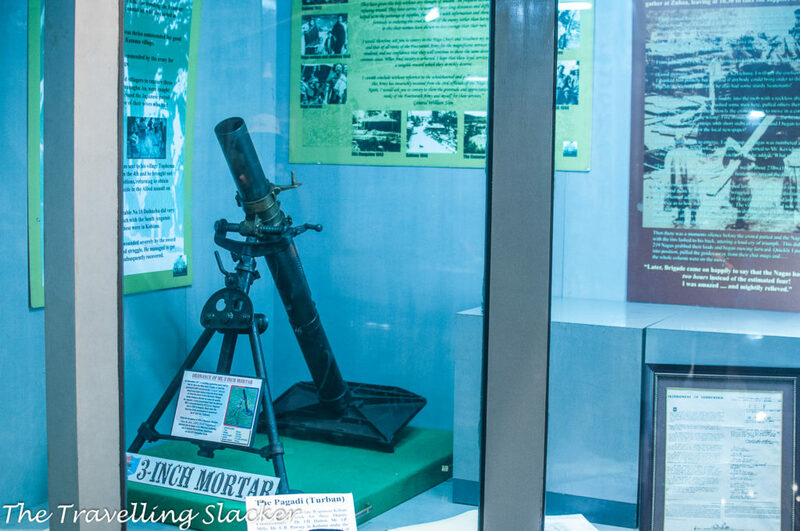 The INA Museum in Moirang preserves the remains of Subhash Bose’s Indian National Army who sought help from the Japanese evict the British. As the Japanese army retreated, Bose also had to give up on his plan. He disappeared soon and his fate still remains a mystery. Nevertheless, this museum preserves many interesting things. There are things like maps showing the proposed routes of the army, currency notes issued by Bose in these areas after the intial gains, and some rare photographs. There is a photograph of bose in one of the Andaman Islands. I had no clue that the Japanese reached that far before seeing this photographs. Unfortunately, compared to the museum in Kisama, it is a more “conservative” one. It is still run by old-school bureaucratic logic prevalent in India. Photography is not allowed inside and maintenance can improve. It is located an hour from my family home and yet I have never visited this one! In fact, I was shamefully unaware of this one until recently. This one is also maintained by CWGC yet almost no one knows about it! 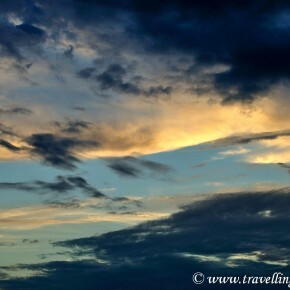 It is located in the Silpukhuri area of Guwahati. 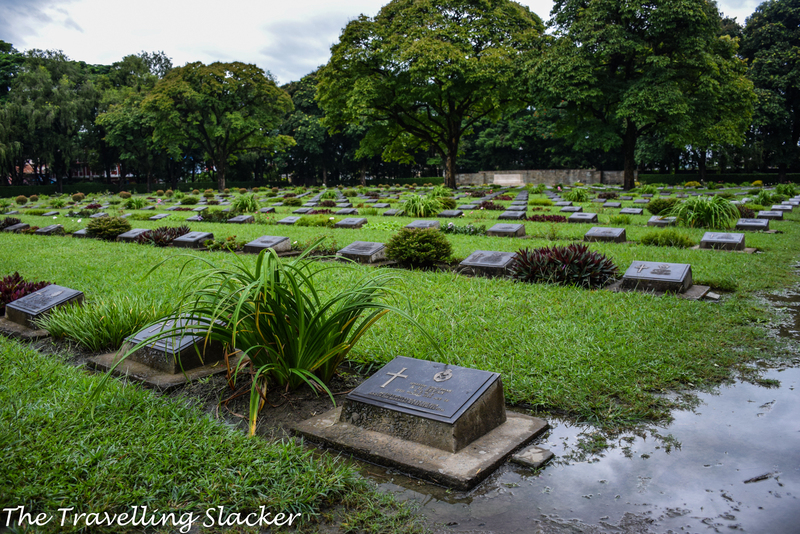 It is a rare one where there are even some graves of the Japanese although it is meant for the allied soldiers. A few years ago, Japanese officials dug some of these graves to take back their remains. Here is a news report about that. 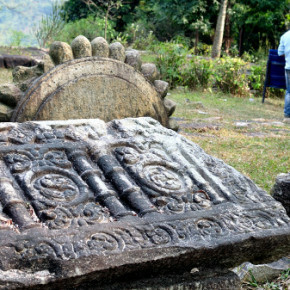 Another major cemetery is that of DIgboi in Upper Assam. This region is better known in the context of WW II for the Stillwell Road (Ledo Road), which was built as a new supply line for the allied forces connecting India to China. Digboi is otherwise known as a oil town and home to the first ever Oil Refinery in Asia set up in 1901 although it has now ceased operations. To reach Digboi you can first reach Dibrugarh (nearest major airport) or Tinsukia (nearest major Rail Station). This msut be the remotest and most neglected of them all. 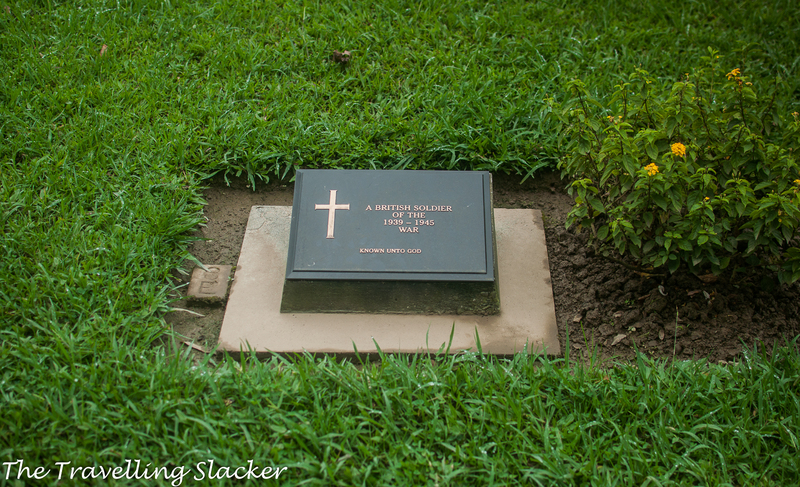 Unlike others, it is not maintained by the CWGC. Also, as per some government regulations, a site is protected as a historical monument only if it is at least 100 years old. So, this site currently lacks preservation of any kind and may disappear before it is 100 years old. 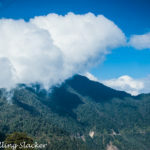 I have not visited it but it is located in Jairampur, en-route to 3700 meters high Pangsau Pass that connects to Myanmar. Apparently most of the deceased here were involved in the construction of the Ledo Road. 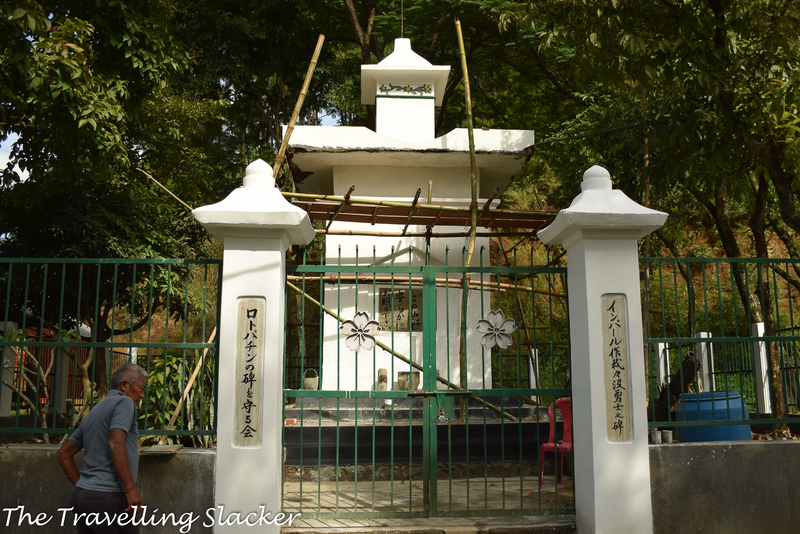 This site is believed to have graves of Chinese, American, Indian, and Kachinc (Myanmar) soldiers. Jairampur is around 58 km further from Digboi. Here is a news report about the Jairampur Cemetery. The places look great. Very nicely shot and written. For the people of Manipur and Nagaland, it was an unnecessary war in their backyard with which they had nothing to do. Their homes were bombed and burnt, their women, men and children brutally killed.